Product prices and availability are accurate as of 2019-04-16 15:48:04 MDT and are subject to change. Any price and availability information displayed on http://www.amazon.com/ at the time of purchase will apply to the purchase of this product. Building on the success of previous specialty bullion coin series, the Royal Canadian Mint has launched a series of four unique silver bullion coins. The Canadian Predator Silver Bullion Coins are a Royal Canadian Mint struck series celebrating Canada's most impressive animals of prey. 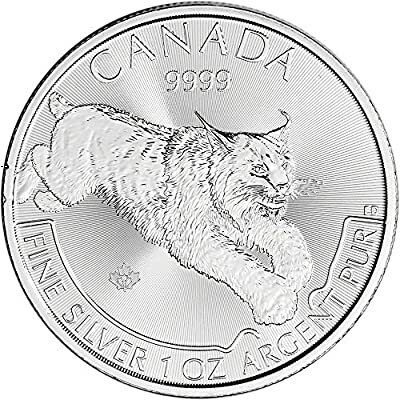 This series features a total of four unique silver bullion coins with this one being the second in the series, following the Cougar. Coins in the series are each minted to the exacting standards collectors and investors have come to expect from the Royal Canadian Mint for their bullion products including a composition of .9999 fine silver. Famed Canadian Artist Emily S. Damstra designed the reverse image which features a lynx leaping towards its pry. The small privy maple leaf is also a security feature, including the number 17 to signify the year of issue, micro-engraved into the surface. This security feature will only be visible under magnification. 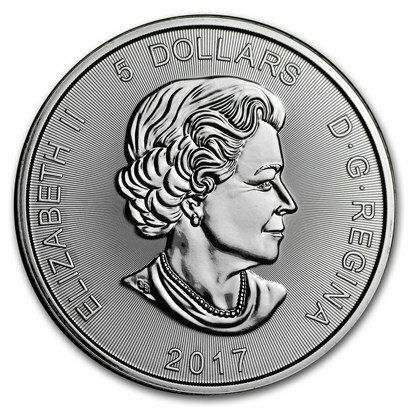 Surrounding the reverse design are the inscriptions of CANADA, 9999, FINE SILVER, 1 OZ, ARGENT PUR and the initials ED for the designer. The obverse design shows the 2003 effigy of Her Majesty Queen Elizabeth II. It was originally designed by Susan Blunt. 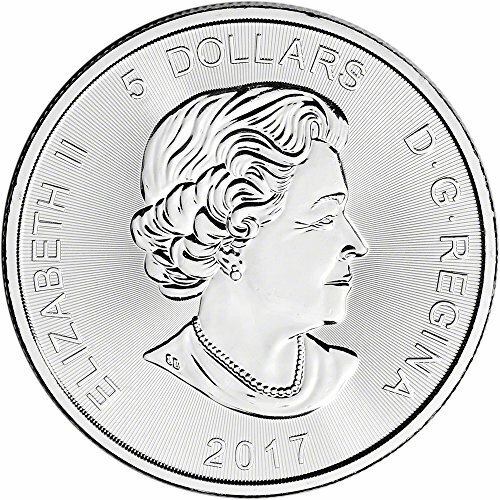 Obverse inscriptions include ELIZABETH II, 2017, D G REGINA and 5 DOLLARS.